I had hoped to begin posting 2018 stats back in May, but those plans fell through. 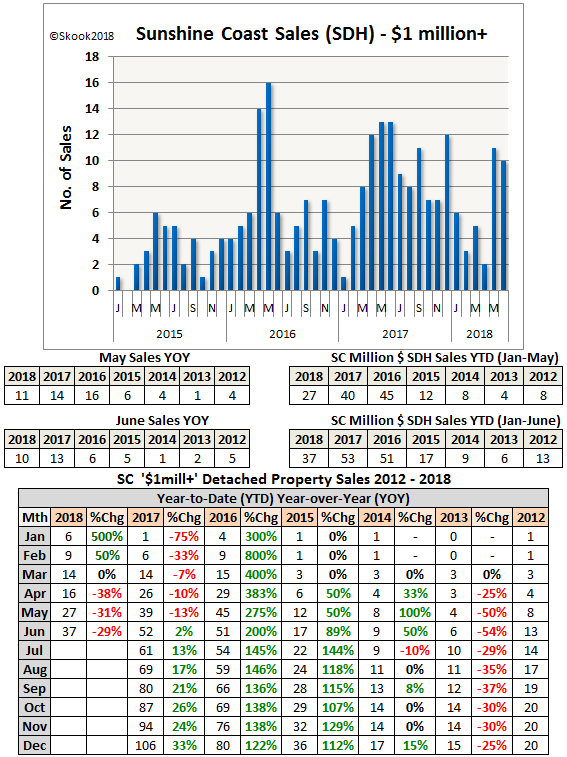 So, these $1mill+ property sales stats are in two parts: pre-May and post-May. The chart and tables are fairly straightforward; however, there is an explanatory note below the first image in regards to the large data table. 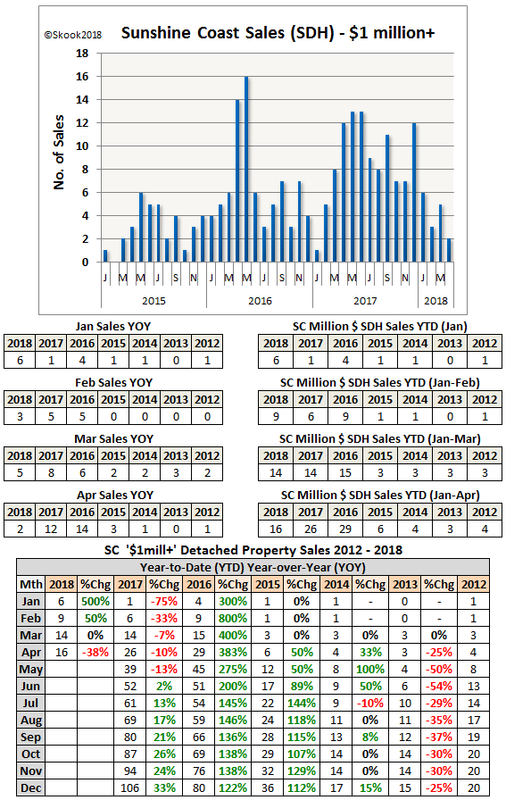 The following table shows where these Jan-June property sales occurred and whether they were waterfront (WF) or non-waterfront (NWF). Of the 37 sales, 22 were waterfront properties (60%). Non-waterfront sales tended to be dividable acreages. The majority of sales took place in the Gibsons market area which would appeal to those looking for dependable investment properties (good ROI). Over the six months, the least expensive $1mill+ property sale ($1,010,000) involved 3.38 acres just east of the Gibsons town boundary. Zoning allows it be divided into 6 - half acre lots and is outside the ALR (Agricultural Land Reserve). The most expensive property sale ($1,850,000) involved a half acre waterfront heritage property in Gibsons’ popular Hopkins Landing enclave. This property has been meticulously maintained and in my opinion really is quite spectacular. I hope it survives another 100 years; sadly, it probably won’t unless they jack it up on stilts.